Okay, I’m just going to come out with this. It’s certainly no secret that, after the first 2 incarnations of Valiant, I’d only been a very selective fan of the Publisher, but that it’s 3rd incarnation not only changed my mind, but, well, made a fan out of me. This is Comic book GOLD. om a Superhero themed book, in recent years. Eric Heiserrer is better known as a Screen Writer, but, as Heiserrer explains himself in an interview at the end of this issue, writing Comics is very different to Screen Writing. While writing for TV certainly has its parallels to writing Comic scripts, where invariably, you will also have to work with a limitation in terms of time, in Comics, this translates differently, in Comics, you’re limited by the amount of pages you have available, in many instances. Not one page in this book is superfluous, nor does it feel rushed, it’s literally a perfect pace, but above anything, it remembers the golden rule of Comics: every single issue could be someone’s first. Not just first issue of this Comic, it could be the first Comic someone buys. Eric Heiserrer wastes no time on this, gently drawing us into the world of Avi, as he presently stands. It’s a bold task Mr. Heiserrer has taken upon himself, working with characters that, with the exception of the well-established character of Amanda McKee (aka Livewire), all the rest of these characters are new to us, they have yet to show one reason for us to care about them. I found Avi to be an instantly likeable character, obviously helped by Raul Allen’s consistently beautiful, crisp line-work, but it’s the very Human aspects that pour out to us, both from Eric’s written work and Raul and Patricia’s art that make this work. Avi is smart, modest, witty and behaves accordingly. The back-story on this character is quickly established, and the experience is one that is relatable, especially to anyone who has felt marginalised in the world. And that’s the key point here. All of the characters here are, in some way or other, marginalised people, whether it’s because of race, gender, sexuality, religion or, hey, having superhuman abilities. In short, you’d probably be forgiven for suggesting that these characters may be considered a modern counterpart to the X-Men. Where X-Men lost me years ago, it wasn’t so much a question of the stories being published, per se, but because I felt every avenue, at least that I could be interested in, had really been explored and exhausted. Where the X-Men were originally largely an allegory to the persecution of Jewish people, exchanging for the word, ‘Mutant’, this has remained thematic to the present day, with very little focus on the other individual aspects of prejudice each character might additionally endure, going unexplored. 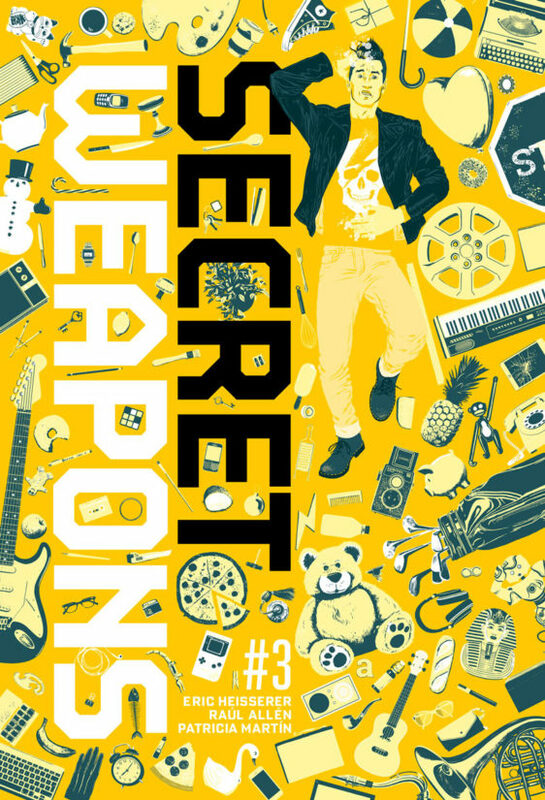 Secret Weapons has not only not walked that path, but has paved a brand new one. ‘Potential’ is the key word here, potential with each characters abilities, which, from the interior write-up on the frontispiece page (see the “Summary” section of this review), each of these new characters were deemed as having abilities that weren’t considered worth much. Before we get ideas in our head that this is turning into whether they have “cool” powers, vs. “this power”, that’s not where we’re going with this. Even this aspect is an allegory. So much of our perceived “worth” in the world focuses on the immediately obvious, or otherwise on cosmetic interests. For example, particularly in modern times, a girl is frequently deemed “worth more” in a superficial manner if she is pretty, ‘sexually available’, and whether she is “the right size”, rather than what she has to offer the world on an individual level. We are judged on appearance, or whether we “fit in”, about what meets those demanding, preconceived understandings of what expectations are met upon us, in order to be regarded as “valuable”. Anything outside of these boundaries is considered “inadequate”, “insufficient”, “worthless”, “freakish”, or otherwise a simulacrum, rather than viewed for what it/they really are, or what they could potentially be. This translates as a resounding theme throughout this book, from the powers the characters possess, to the appearance of our characters, down to their genetic and ethnic codes. What it doesn’t do to us is ostracise us and brand us as “bad” people” for thinking in these terms, and let’s be honest, this is changing, but what’s our traditional perception of the “Superhero”? Almost everyone is clad in bright, glowing costumes, with insignias, capes, sometimes big guns (take that how you will), stretched over bodies resembling golden Gods and Goddesses, with our villains frequently being “ugly” or menacing to look at. This is one area that the X-Men also broke ground, particularly through the efforts of the late Dave Cockrum’s designs and ideas, that made the X-Men what they became today. 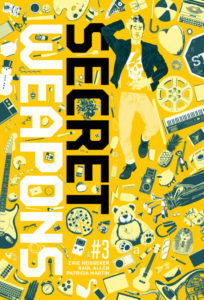 Secret Weapons, in it’s own way, carries on that tradition, revitalising and contemporising that ideal. Now, let’s understand this, all of the above is an analysis of the deeper, more ephemeral considerations in deconstructing this book. But let’s not get too serious either, you want to see a bit of action too, right? And you don’t have to wait long for it either, quicker than you can shout “Liberal agenda!”, the fun begins. And I do mean fun. Here we have the ‘High School Jock Beatdown’ thing going on, but while predictable to an extent about where this is going to go, especially given Avi’s abilities, the humour in it is quite delicate, it brings a smile to your face and made me giggle a bit. Later in this is issue, we get a scene that reminds us about the abuse of power we have in the system with certain parties that have been bestowed responsibilities and privileges not owned by your average citizen. It’s expertly handled, particularly on a visual level, which gives us also a proper introduction to Nikki and Owen. When your read up about their abilities on the inner front page, while Avi’s ability to turn to stone, but with the inability to move when he does, takes on immediate perceptions on how this will play out, Nikki and Owen’s talents, less so. Owen can produce random objects out of thin air, but ‘random’ is the right word, so really, that could be anything. The beauty of this ability is it can make for some surprises that could potentially add comedy or tension in a story. With Nikki, she’s super athletic, which is always useful in itself, but controlling birds? Is this “cool”? Well, actually, yeah. We’re not necessarily talking about giant “Battle Eagles” either, but Pigeons. Yeah, Pigeons. Read it and watch it play out, you may just get the same inklings as I did about a certain caped crusader. There are some lovely moments in this book, such as the conversation between Nikki and Owen on the rooftop, and Avi trying to talk sense into a group of thugs that are Hell-bent on not listening, and like Avi, Nikki and Owen are quickly likeable, Nikki being clearly smart and level-headed, but also seemingly a little “away with the Fairies” at the same time. Owen seems a bit of a doofus, but in an amusing way, you know, like one of those people that does offensive things without realising it, so it’s instantly forgiveable, and quite often hilarious, especially because it’s not Owen’s intention to be. In just one issue alone, I’ve discovered the soul of this book, it’s fresh, funny, gorgeous to look at and a very welcomed addition to the world of Valiant. Do I want to read more of this book? What do you think I’ve been poring about?! This is a fun book, which, whether you care for the deeper elements or not, gives you a very satisfying read, and in just ONE issue, more over, it provides a perfectly decent entry point if you are just joining this series. A very bright beginning for this book, I hope it continues the good work it already has done, and a perfect book for those don’t care for “Superheroes”. In all honesty, it could be the smartest “Super-people” title since Grant Morrison’s “The Invisibles”. Oh yeah, I went there. A very high recommendation that it’s deeply doubtful you’d regret putting your hard-earned into, go pick up a copy, and be reminded why you picked up a Superhero book in the first place. And if you didn’t before..you might want to make an exception, give it a chance, and see its wondrous glory for yourself. 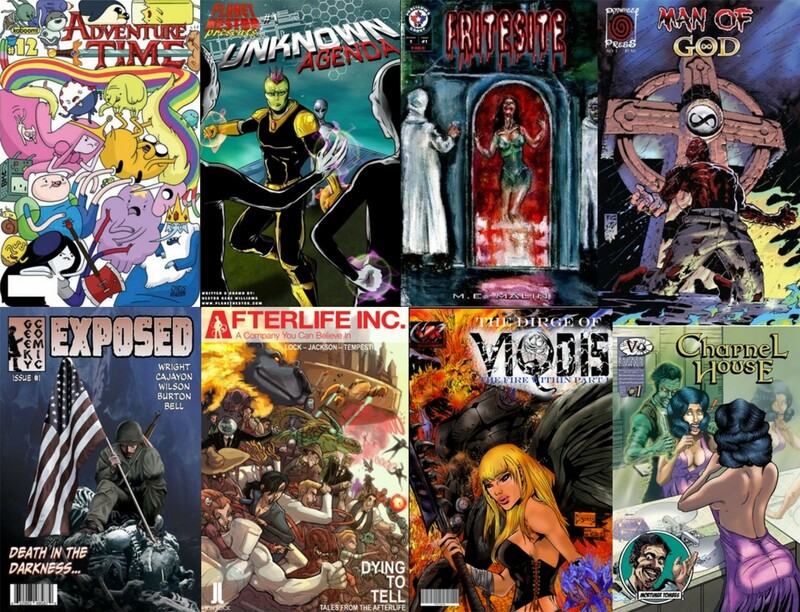 Covers by: Raul Allen, Clayton Henry, David Baron, Marguerite Sauvage, Roberto De La Torre and Ben Templesmith. Summary: “The world changed forever after The Harbinger Foundation was exposed and all of Toyo Harada’s secrets were leaked, including details concerning The Willows, a place where Harada sent the Psiots whose powers he deemed useless. Among these rejects were Nikki (Finch), Owen (Cho), and Avi (Malakar). But Amanda McKee, aka Livewire, only sees their potential. She sees a team capable of fighting back against the Psiot killer, Rex-O, and his mysterious master, The Scavenger. 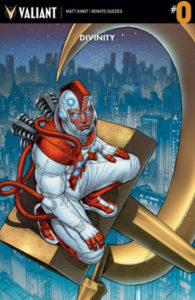 In this issue: Avi, having broken away from the group, is peaceable, looking for his own place in the world, and perhaps, at least a relatively “normal” life..only the world is not as accepting, as he faces the outcome of going it alone, the prejudice and misunderstanding of who and what he is. This is the great thing about reviewing a Matt Kindt book, I’ve yet to find one written by him that was even remotely mediocre. Part of the reason I wanted to take a look at this book is because I need to do a bit of catch up with it, I’ve always got a busy schedule going on, and this was the perfect way to do this. It’s amazing to think that prior to Matt Kindt joining Valiant Entertainment, it almost never happened. You see, Matt had grown weary of the Comics industry, at least as a Writer, frankly, you can’t really blame him either, a lot of the substance and freedoms that Creators once had has been sacrificed by corporate business plans, rather than specifically story-telling in the post modern era. It’s understandable, to a degree, Producers and Publishers get nervous about anything they can’t be reasonably sure about as a guaranteed hit, which makes them prone to want to go for “tried and tested”, which could also be interpreted, to be more accurate, as “done and worked”, which is great, to a degree, but the operative word is still “done”. Kindt is the Writer’s Writer, unfettered by the fear of not providing “the Corporate Dream, Matt Kindt and Jeff Lemire could, to a large extent, claim that the current Valiant Universe is effectively down to their vision. This leads me to the thought of the time I was told that an Artist is not paid for their art, but their vision. The simple fact is, everyone has a book within them, anyone can write, but to write consistently well, to be able to create a universe beyond simply an idea is a skill most do not have the imagination for. It is with that analogy, we come to the concept of Divinity itself, the story of a Russian Cosmonaut, Abram Adams, sent into the deepest parts of space, who, with his his fellow crew members, Myshka and Kazmir, encounter a strange energy source that tears them apart. Abram slowly reforms, but comes back changed, arriving 30 years later on Earth, and turning a Desert into an Oasis, his God-like abilities making even the most valiant of Valiant cautious. Subsequently Myshka and Kazmir also return. And they are angry. After Kazmir transforms the world into the Stalinverse, Abram negotiates with him, reasoning with Kazmir to change his mind and to also explore the universe, like him. It’s at this point, I’ll not ruin anything with spoilers, but here is the aftermath of the Stalinverse story-line, where we get a fuller re-cap than I’m giving here to bring you up to date. It’s a great “jumping on point” for readers. This issue is the exception to the rule, where previous books have been illustrated by Trevor Hairsine very amiably, this issue is by Renato Guedes. I haven’t seen Guedes art for a while, actually. And my goodness, has his work moved on since I last saw it! This is beautiful work, I’ve not seen Guedes’ painted work before, and frankly, it’s on a par that’s somewhere between David Mack and Alex Ross, it reminds me of the days in the late 80’s when the Prestige Format book was the gold standard, and you were in for a very different experience than usual. Atypically, Matt Kindt’s script is littered with referential and self-referential commentary from Abram’s point-of-view, he is the great observer of the Valiant Universe, the Watchman, possibly its greatest saviour and its deadliest threat. 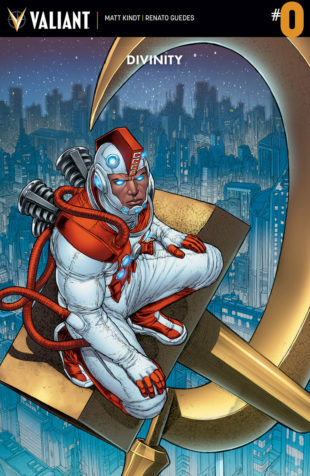 This is the thing with Divinity, it’s the Thinker’s book, much of it is about the esoteric, created by Kindt and Hairsine, you could suggest that Divinity is the most physical representation of Kindt’s mind for everything else that has followed. Valiant remains, at least in the spectrum of Superhero Publishers, certainly the most story-driven and intelligent, even the big events don’t require you to buy 187 Comics to understand the story, they’re pretty modest in out-put, making them affordable. Valiant’s stock in trade “tactic”, if you will, is that level of accessibility, so if you’re interested in Valiant books, but unsure where to hop on, this is a very good starting place, along with Unity volume 1, to find out more about the key players in the Valiant playground. This book is beautiful and emotive from one page to the next, it’s intelligent publishing. One read of this won’t be enough either, you can’t help but want to go back and saunter on the art of this issue, because you just won’t get a full appreciation of it the first time around without disrupting the flow of reading the book. Why, I guess that just doubled your money’s worth, enjoy. Tags: A happening place!, Always an awesome thing!, Amanda Mckee aka Livewire sees potential in those Toyo sees as useless, Avi Malakar just wants some normalcy yo!, Ben Templesmith, But even with this Cosmonaut's skills, Clayton Henry, Dave Lanphear, David Baron, Divinity #0, Eric Heiserrer, Even he's gotta find a way to know if everything's been restored to normal!, Harbinger Foundation, Ibrahim Moustafa, Indies, Juan Jose Ryp, Kano, Marguerite Sauvage, Matt Kindt, Patricia Martin, Peter Bagge, Psiots in The Willows, Raul Allen, Renato Guedes, Rex-O and The Scavenger are the ones to fight back against!, Roberto De La Torre, Secret Weapons #3, Small Press Love, Talk about a hard task!, The Mack Valiant Special!, This lost Cosmonaut has some rad Divine skills!, Toyo Harada was a man with secrets!, Valiant, When your powers may not always be as helpful as you'd like!, Writing Comics according to Eric Heiserrer definitely is a bit more different then writing tv scripts!